The game fields are located at 9600 Blue River Rd. Kansas City, MO. 64131. 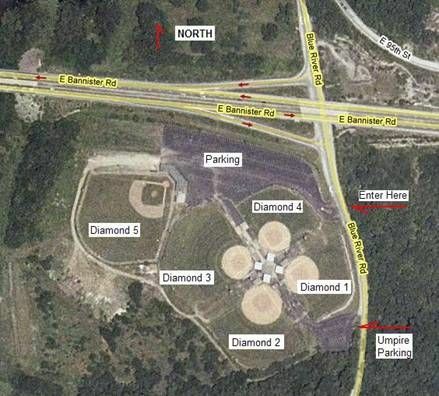 The Baseball Complex is at the South West corner of the intersection of Bannister Rd. and Blue River Rd. See the images below for more detail.